Pack up the kids and the car; it’s road trip time! A road trip vacation can be an unforgettable experience that brings families together and creates treasured memories. However, if you’re planning a road trip with kids, a fun break can quickly turn into a noisy, cramped nightmare without adequate preparation. Fear not! With these tips, you’ll be hitting the open road fully prepared for a fun, relaxing and drama-free holiday. Make sure to plan for some time during the trips where you can just stop the car and wander around; no pressure to get back on the road, no worries that you’ll be 5 minutes behind on your itinerary, just relaxing! A well-stocked first aid kit is absolutely vital, for your peace of mind if nothing else. This, along with a few other simple safety precautions planned ahead of time make for a relaxing and safe road trip. Travel sickness affects many of us, and the symptoms are truly awful; clammy skin, dizziness and nausea to name just a few. Travel sickness has the potential to stop a road trip dead in its tracks. It’s not ideal and we advise against it, but it is sometimes unavoidable to drive at night. Bringing pillows and even a small blanket or duvet can be a huge help in creating a comfortable environment for your children, meaning they have more chance of getting a proper sleep, so you won’t be stuck with a wide-awake toddler at 3am! Sure you have more space than in a car, but after a few days of travelling and living in the same place, an RV can start to feel very small! 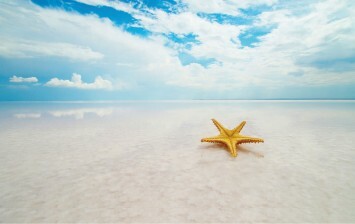 Remember; wherever you’re travelling and however you decide to get there, enjoy the journey not just the destination! 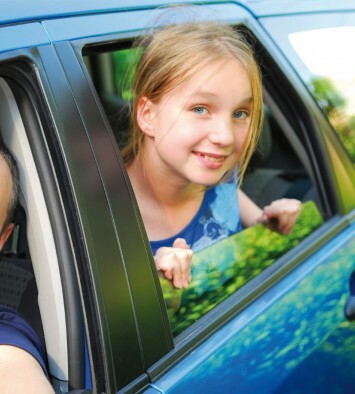 With these tips, you’ll be prepared for an exciting and safe family road trip adventure. 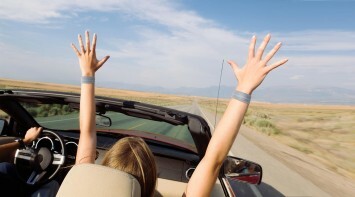 Do you have any great family road trip tips that we missed? Let us know in the comments below. Sea-Band acupressure band can help to relieve nausea symptoms without any need for medication or expensive treatments. The Sea-Band works by applying a continuous pressure on the P6 (or Nei-Kuan) point using a plastic stud. It has been proven that pressure on this point relieves nausea and vomiting. Sea-Bands have been used successfully on both adults and children as young as two years of age. Sea-Band is a natural, drug-free band made from knitted elastic that provides effective relief from nausea. 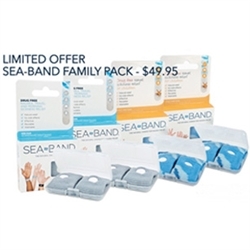 This pack includes Sea-Band nausea remedy bands for the whole family (two adults and two children). Shop now.